I am continually amazed with what God is doing through our ministry work, even where we don’t expect. I’m reminded of the scriptures in Jeremiah 33:3 when God tells the prophet “Call to Me and I will answer you and tell you great and unsearchable things, which you do not know.” I can testify to you today that the Lord did something we did not expect. It was Sunday April 6, 2014 at about 2 p.m. in the village of Kibwezi in Eastern Kenya. I was seated under a shade with Caleb, my friend and fellow worker in the gospel. We were resting at the guest house where we were staying after having returned from a very powerful and moving church service at Deliverance Church in the nearby village of Thange. The pastor there has just buried his wife, his daughter, and one of the leading members of his congregation and we had decided to attend his church on that day along with our good friend and co-worker, Shadrack Maunda. It was a hot day and we ordered a bottle of soda for each of us and also for two young men that worked there. Little did we know that ordering soda would give us the opportunity to share Christ with one of these men. His name is Samuel. 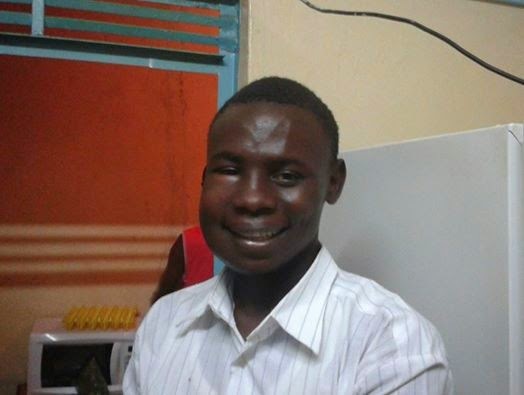 He had been bitten by a bee and his cheek was swollen. After taking his soda he came to us and said “look at my cheek is it still swollen?” We told him “Yes, but not like it was yesterday.” He laughed and said “This is nothing compared to what I have gone through.” We were really eager to know his story so we asked him to sit and tell us everything. “I had just graduated from high school and needed work. I found a job where a greenhouse was being built. I was lucky enough to be employed as a supervisor there. But I thank God that He rescued me from death at that place not just once, but 2 times. The first time the electricity had been disconnected from the power pole due to lack of payment. I thought that I would connect it back. I decided to climb the pole which is about 15 ft high and I guess it was not my good day. I was electrocuted, fell to the ground and broke my back. I was rushed to the hospital and remained unconscious for two weeks and then remained in the hospital for a total of 6 months. One month after my release from the hospital, I was climbing a power pole and again accidentally hit the electrical wire, fell to the ground and this time my spinal cord was severed. The doctors said that I would never walk again. This time I spent 8 months in the hospital. I was confined to a wheelchair. I remained in the wheel chair for about 3 months. But God performed a miracle in my life. Slowly, I began to walk again. and then explained to him what this meant. He said to us “Is that all? Is that truly the way to be saved?” He then told us “I want to be saved. Now!” And so we prayed with him and at that moment, he accepted Jesus Christ as his Lord and Savior. After praying with Samuel, we introduced him to Pastor Shadrack Maunda for follow up and Bible study. He was so excited about being born again; he wanted us to go and meet his mother and tell her about Jesus. Rev. 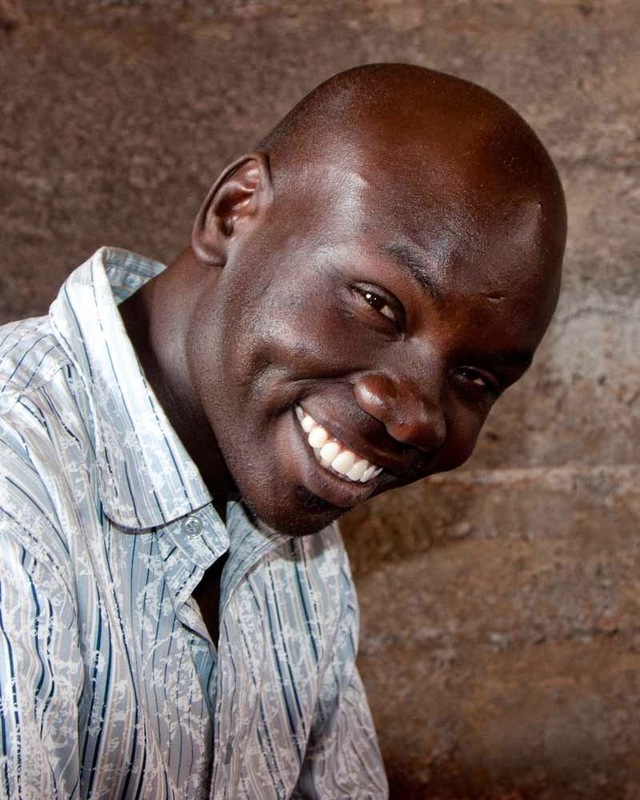 Silas Odinga is a full time missionary with Burning Plow Ministries. He has received his ministerial credentials from Kingsway Fellowship International, is a member of the Burning Plow Ministry Kenya Board of Directors and travels with BPM throughout southern Kenya as a Bible teacher and evangelist. Please pray for Samuel as he begins his new life in Christ. And continue to pray for us as we are continually amazed at what God is doing!